Science, Art & Technology FUN! + Robotics+ Large-scale and kinetic art + Digital & analog fabrication+ Electronics+ Cosplay+ Craft, fashion & design+ Food + Science+ Tools & materials+ Much much more! Plus TONS of hands-on making and learning with drop-in and scheduled workshops for all ages. Literally hundreds of opportunities to try tools, techniques and materials like nowhere else! 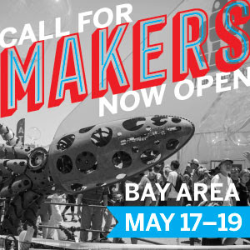 A weekend celebration of ingenuity, creativity and craftsmanship leading the maker movement. 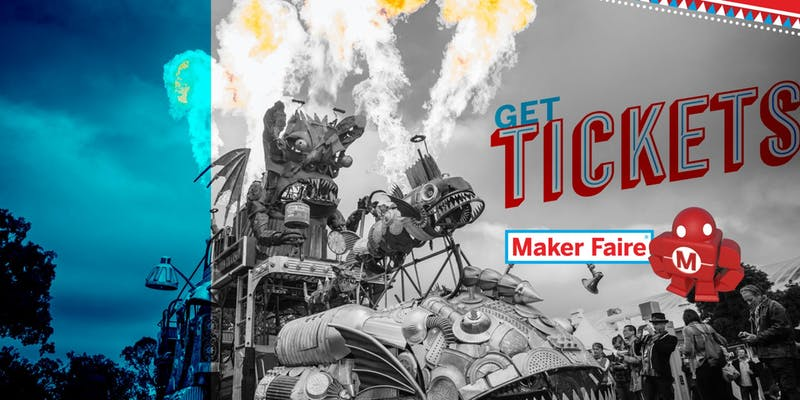 Maker Faire Bay Area is where it all began and remains to highlight the latest in technology, art, and innovation.